A carry-in just waiting to be recorded by someone. Okay so in our last post, we discussed why tracking the Neutral Zone is important. We also briefly discussed what we track when tracking the neutral zone. But in this post, I’m going to provide you with a detailed guide and the resources you will need to actually track the neutral zone yourself. Frans Nielsen is incredibly good in the neutral zone. But How important is that really? And how can we tell that’s the case to begin with? Related to what @Thats_Offside has said: Why should I care what a player’s zone entry rates are? Convince me, Twitter. Matt was referring to a statistic commonly found in “Neutral Zone Tracking,” which purports to measure the quality of individual and team play in the Neutral Zone. 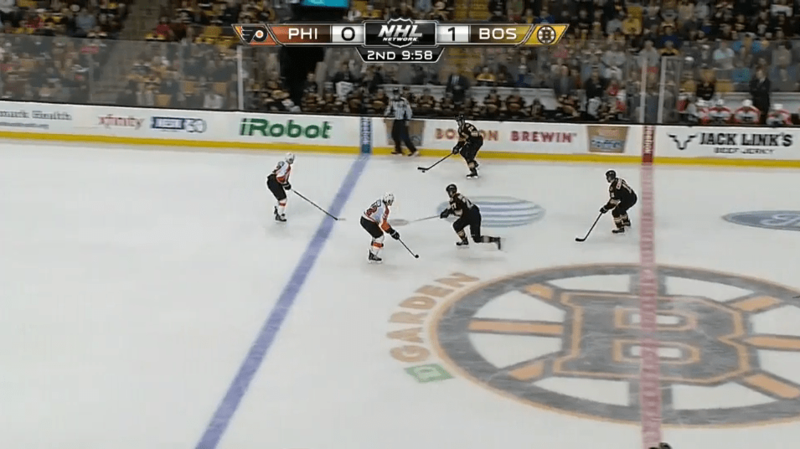 Neutral Zone Tracking was pioneered by a bunch of guys at Broad Street Hockey (Eric Tulsky and Geoff Detweilier) back in 2011 and in the years since, a bunch of individuals have also began to do the same. The work that’s been done on this area, on other sites as well as on this one suggests neutral zone tracking results in some extremely important data that we should be very interested in. Hockey Graphs live video (Pod)cast #2: Tuesday 10/13 at 9PM EST! Interesting things that have happened in the first week of the season. 3 on 3 – Thoughts? Hockey Graphs live video (Pod)cast #1: Talking about RITHAC and Manually Tracking Hockey Games! For those who missed it, below is the archive from tonight’s Hockey Graphs Live Video Podcast #1, featuring Garik16, Ryan Stimson, Ben Wendorf, and DTMAboutHeart! We talked about the upcoming Rochester Institute of Technology Hockey Analytics Conference (RITHAC), Neutral Zone and Pass Tracking, and how we go forward with deciding what to track and what to look at with such data. Give us a listen and if you have any thoughts for what we should talk about next cast, please leave a comment! Individual Skill, Coaching/Systems, or Randomness: What is driving open play results in the Offensive, Defensive and Neutral zones? Can a team lose the neutral zone and still drive possession in the other zones to win the possession battle? Todd McLellan thinks so. These days, when we talk about possession, we’re typically talking about a player’s corsi/fenwick/shot numbers overall, or we break them down into shots for and against. 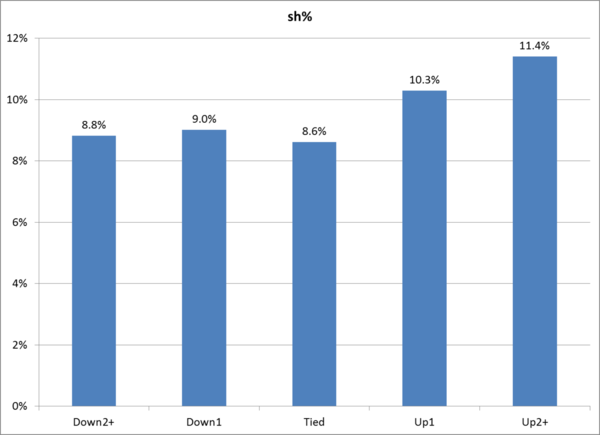 The thing about doing this is that while it gives you a decent picture of what overall is happening while a player or team is on the ice, it doesn’t really give you a specific picture – does a player have a good corsi because he’s an elite offensive zone player or is it his performance in neutral and defensive zone causing this? Even separating into shots for and against doesn’t narrow this down – for instance, a player can suppress shots by being in the neutral (or hell, even offensive zones), which doesn’t say anything about him necessarily in the defensive zone.